Even though it’s been a couple of days since I’ve read this story, I still can’t seem to get the characters and the story out of my head. I keep replaying certain scenes and the dialogue between the protagonists, and I’m convinced I’m going to have to reread this book in the near future. 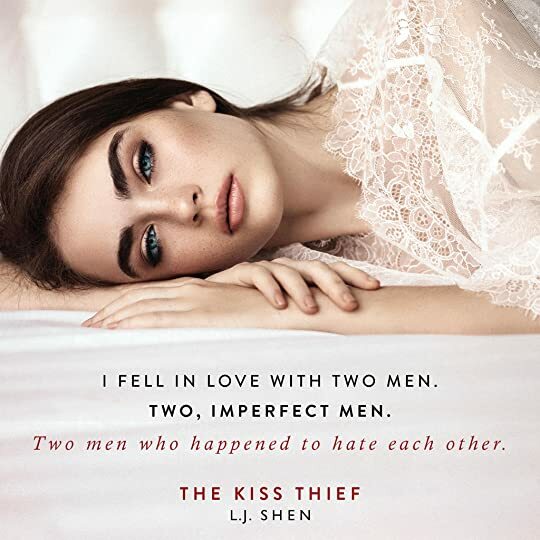 This is the first book I’ve read by L.J. 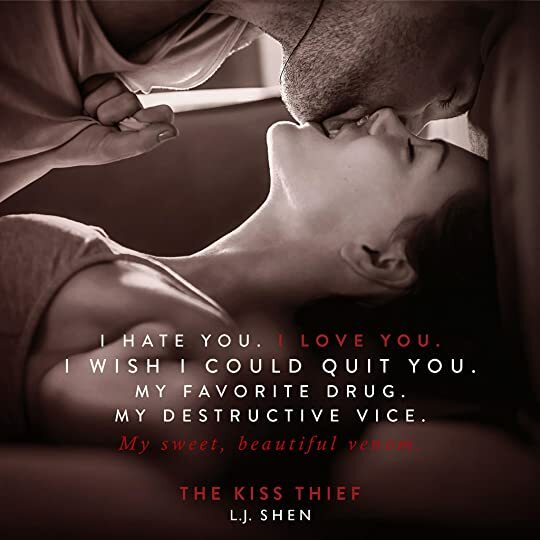 Shen, and now I’m kicking myself for not reading her sooner. 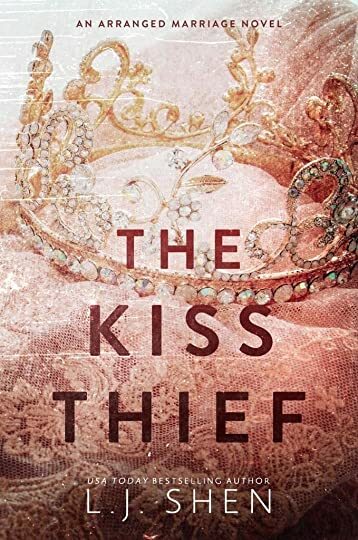 The Kiss Thief was an incredible, dark, edgy, engaging story! I was so invested in these characters and their story, that I couldn’t put this book down. Wolfe was probably one of the most cold-hearted, calculating, and the cruellest protagonist I’ve read in a long time. Francesca had no idea what happened in her life. One minute she was living her life the way she had been brought up to do and everything was going according to plan. She was going to marry her childhood sweetheart, and they were going to live the life they so often talked about, then out of nowhere she’s suddenly told she’s going to marry a total stranger who thinks she’s a privileged, entitled, stupid girl. Wolfe dispises Francesca’s father with everything he is and he doesn’t hide the fact that he hates her by association. 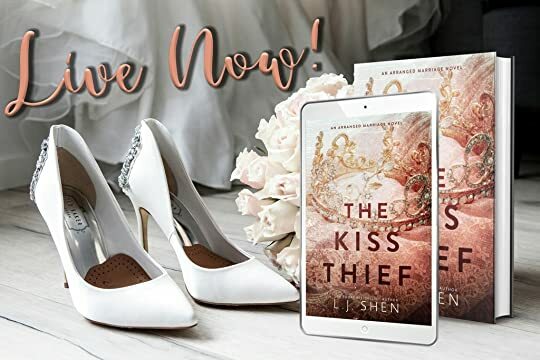 What Wolfe doesn’t realize at the beginning of their relationship, is that Francesca may be young and innocent, but she’s got a fire and strength to her that challenges and forces Wolfe to rethink, recalculate, and negotiate some of his actions. 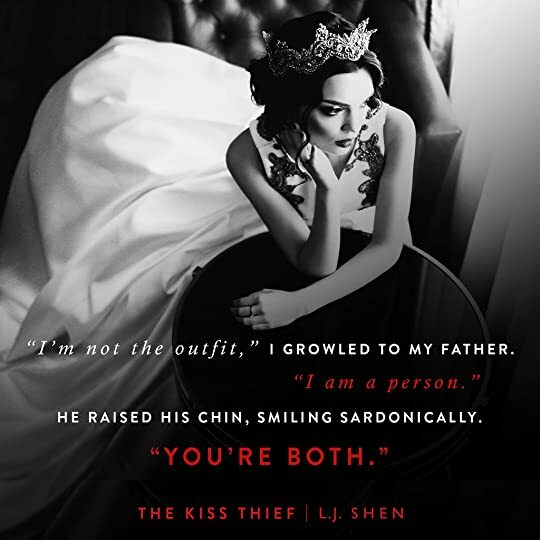 In a twisted way, the reader (that would be me) was cheering for this couple because I really didn’t want to believe that this 19-year-old girl would be trapped in a loveless, cruel marriage to a powerful 30-year-old man. I wanted a happily ever after for Francesca because I liked her so much and also because she was a strong, smart, innocent bystander in this tragic game between her father and her husband. I thoroughly enjoyed this story and can’t wait to read more from this author. I was stiff and cold in his arms, but he didn’t seem to notice—or mind. He knew how to waltz better than most men, but he was technical and lacked warmth and Angelo’s playfulness. “Give me an example,” he said, ignoring my quip. I was beginning to draw away from him, but he jerked me back into his arms. The glitzy ballroom distorted into a backdrop, and even though I was starting to notice that the man behind the demi-mask was unusually beautiful, the ugliness of his behaviour was the only thing that stood out. A conceited frown crinkled his mask as if to say I was a complete and utter moron. I looked him straight in the eye. My father taught me that the best way to deal with men like him was to confront, not run. Because of this man? He’d chase.